I had an opportunity to give a day tour to a couple from Saga Prefecture. They were owners of a construction business and were visiting Tokyo for their 25th wedding anniversary. The wife was especially excited for this trip, because it was her first time visiting Tokyo in ten years. I had decided to determine the course of the tour by asking their sightseeing requests on the actual day. My guests had already visited Sensouji Temple in Asakusa the day before, so I suggested going to see Tokyo Skytree, the one of the tallest towers in the world. I took my guests to Jukkanbashi Bridge, a place where you can see a clear view of the tower over the river. I helped by taking a souvenir photo of them, against the background of the tower. Then we drove around, and I showed them Ryogoku Sumo Hall, Nihonbashi district and the Imperial Palace Nijubashi Bridge. 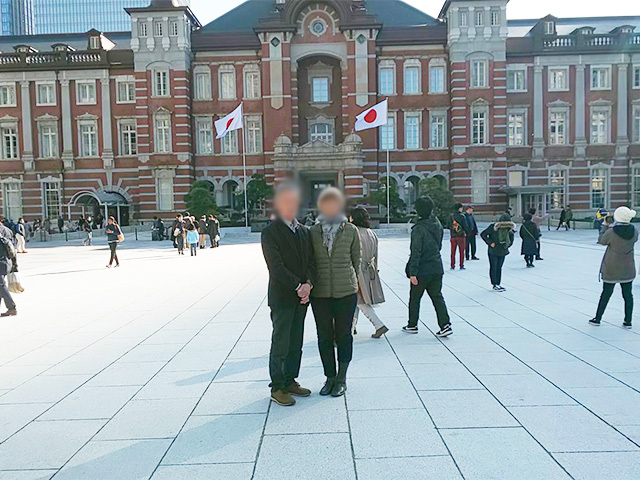 We got off at Tokyo station, and I took another nice photo of my guests in front of the classic brick-built station building. Since my guests have been engaged in the construction industry, I suggested visiting Akasaka Palace, also known as the State Guest House. My guests were very interested and liked the idea. When arrived, they walked to see inside of the building. After the lunch break, we cruised around more tourist sites including Shibuya Crossing. 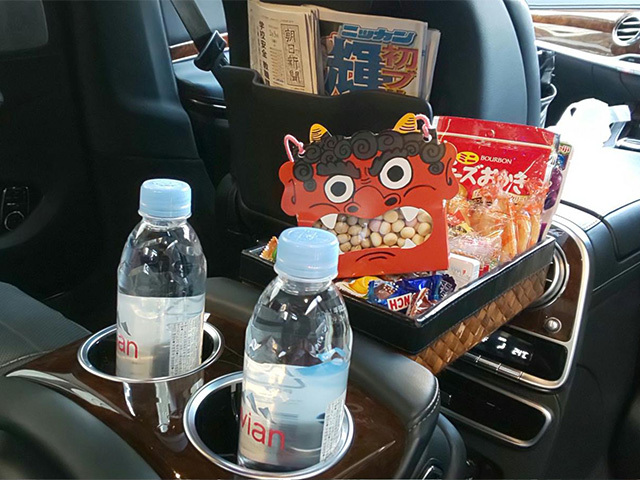 In the end, my guests had to go to Haneda airport. It was a beautiful weather with clear blue sky. I decided to take the Bayshore toll highway over Rainbow Bridge so that my guests could enjoy the beautiful scenery of Tokyo Bay. We passed by the new Olympic facility that was in the middle of construction. It made my guests very happy to see this. They said that they have been curious about this project even though they had only seen it on TV. After crossing over the Rainbow Bridge, we arrived to the airport. I took care of the toll free of charge as a gift for their anniversary. It was my pleasure to see my guests having a lot of fun on their special trip.